Some legal stuff: Janssen Biotech paid for my travel to and from the event, and meals while I was attending, but I received no compensation for my time, and all my opinions on the event are my own. Janssen put together a program to help healthcare providers and other stakeholders understand their processes. The event was at the facility where research and development (R & D) take place and where Janssen’s innovative product, Remicade (infliximiab), is created. Somewhat surprisingly, and what is certainly the beginning of a sea change in pharmaceuticals, patients were included in this group of stakeholders. And why shouldn’t we be? It’s the IBD community and other disease communities that use the products, so it seem natural to me that we have some transparency into the Janssen process. Why Only A Small Group of Patients? We were the second group of patients to be allowed inside the facility, the first being patient advocates in the rheumatoid arthritis space. A limited number of people were allowed on each tour. The reason for this is simple: it’s a working facility. They have rules and regulations set forth by the Food and Drug Administration and other entities, and there can’t be a lot of people going through the buildings. Too many people will bring all sorts of entropy that you can’t have in a state-of-the-art facility which is subject to inspections and rules. 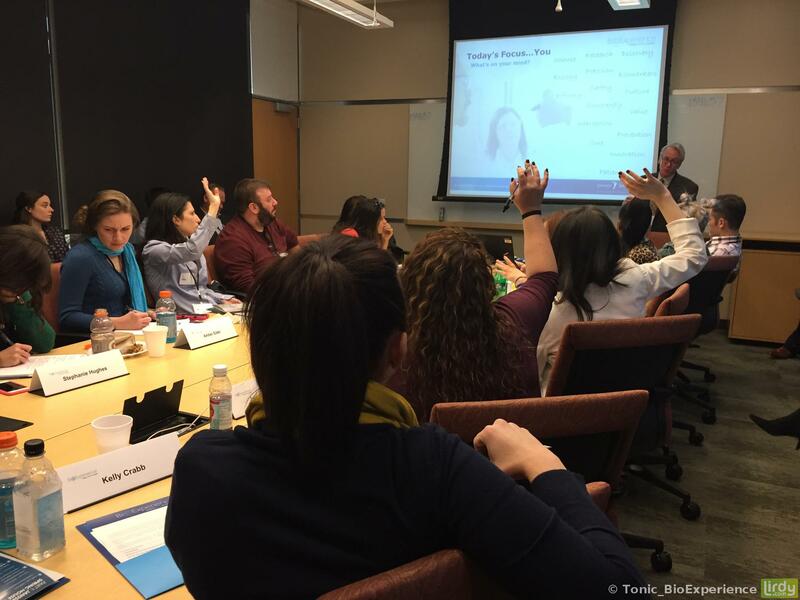 We took several meetings where high-level Janssen employees answered our questions. And we had many, many questions. So many that we went over time, and the schedule was thrown off. And when I say high-level, I’m talking about people like Michael Yang, President of Immunology at Janssen and Dr Scott Plevy, a board-certified gastroenterologist and Disease Area Stronghold Leader, IBD, who has a long list of IBD research publications behind him from his work at Janssen and at the University of North Carolina School of Medicine in Chapel Hill. They spent a significant amount of time explaining a lot of very technical aspects of the pharmaceutical industry to us. I was so grateful to meet them and speak with them. Questions, anyone? Dr Plevy could hardly get a word out before we were all raising our hands up like kindergartners — the higher the better! 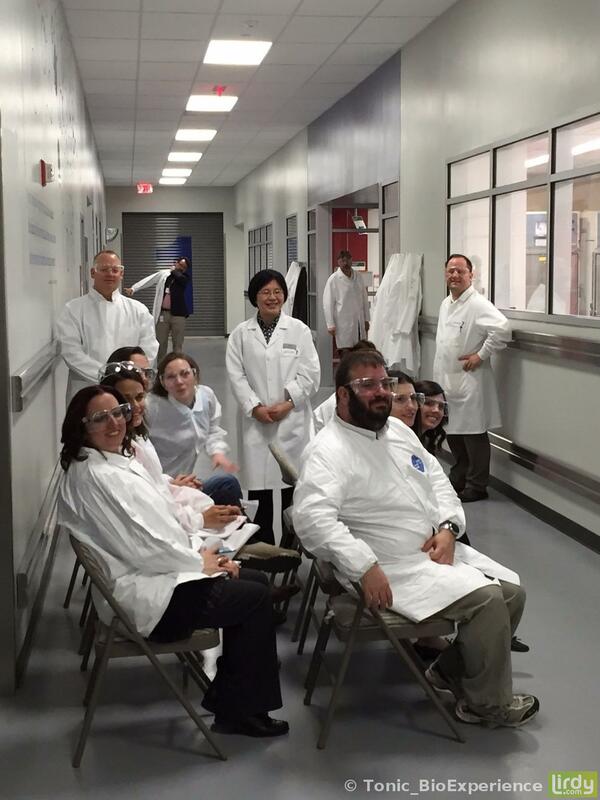 After having some questions answered about the science behind biologic medications, we toured the R & D facility. Understandably, we couldn’t take photos inside the halls (and believe me, we tried!). We peeked in windows and saw the scientists at work, running their experiments to discover new treatments for IBD and other conditions. Next we went over to the building where Remicade is made. And I say “made” but it’s an infinitely more complicated process than that. A biologic drug is created inside a living cell. It’s not like other drugs that can be backwards engineered. A clever chemist (given enough time and resources) could take a pill, break it down to its parts, and then make a new pill just like it. That’s not possible with a biologic medication because there are too many parts. It would be like someone looking at a car and then trying to create all the machines and tools and parts that are needed to make the car. 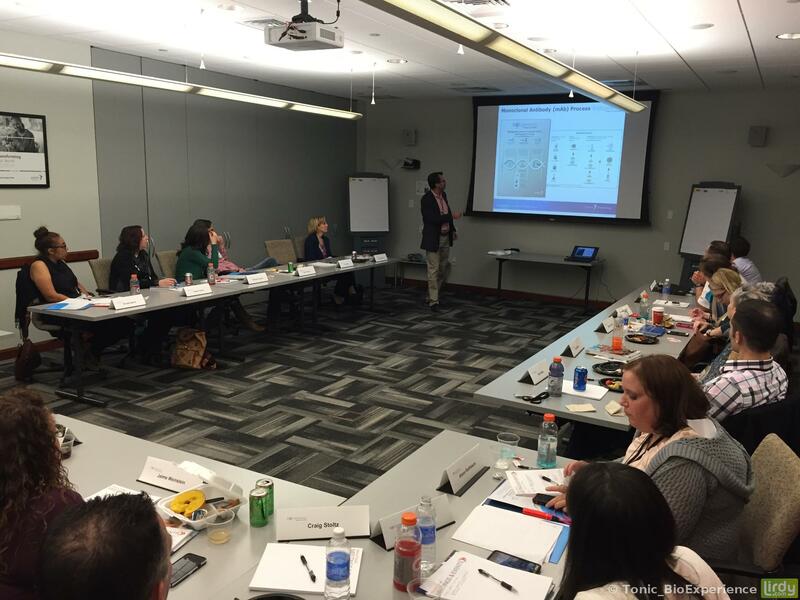 Learning more about monoclonal antibodies with other IBD advocates and employees from Janssen Biotech. I didn’t understand the complexity of it myself. And this doesn’t just apply to Remicade, it is true of other biologic medications as well. This is why we get into unknown territory when biosimilars (biologic medications that are similar to, but not exact copies of, biologics) come into play. A biosimilar is not a generic. And we don’t know much yet about switching between a biologic and a biosimilar. This is all new territory and the answers will only play out over time. Now, we couldn’t actually see where the chemical process takes place: the people that work there need to follow a lot of protocol to protect the medication from germs and viruses. We saw how employees must wash and prepare for their work inside the facility, and it’s a serious process. This is not in an effort to protect the employees from the product, but rather to protect the product from the employees. What is this guy wearing? This is not to protect him, it’s to protect the medication that he’s working with. The environment is aseptic and the protective material is worn inside the facility. Oh, also, you can’t wear makeup or anything, and if you’re sick, you stay home. I’m a frustrated scientist myself: I was so sick with ulcerative colitis that I was forced to stop my education at Bachelor’s of Science, and then needed to take work that had nothing to do with my degree in order to pay my medical bills. 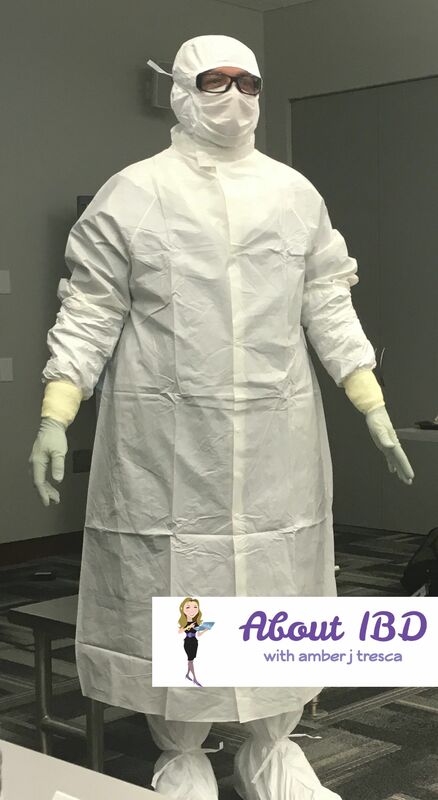 Before IBD, I did think I’d be the one with the white coat, in the lab. That was my goal (although my father wanted me to pursue medicine!). And these labs — I wish I could show you what they looked like. To me, they were amazing. The scientists explained what they do and answered more of our questions, and we, again, had a lot of them. Why Did I Go On This Tour? From a personal standpoint, it was not the perfect time for me to be away from my desk and from my family. I went because it was an unprecedented opportunity. My job is to cut through the jargon and the science and to help people with IBD better understand their disease and the treatment choices open to them. This experience absolutely added more to my knowledge base about biologics and biosimilars, about IBD and why we artificially segregate it into two diseases, and about where the pharmaceutical industry is looking for new IBD treatments. All of this makes me a better advocate for myself and for people with IBD. Patients now have a seat at the table, and when a chair at that table is held out for me, I’m absolutely going to take it on behalf of you and all people with IBD. Thank you for your continued trust in me!